Note: The route numbers are almost never used in practice: the routes are almost always referred to by their names. Light rail lines: 68 km. 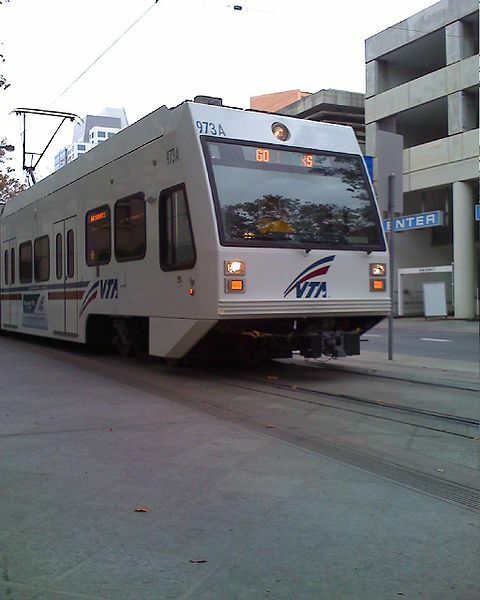 Light rail: 10 Dec. 1987 - today. Gillham, J.C. & Ballinger, M.V. "Light Rail years ahead", Modern Tramway & Light Rail Transit, May 1988 (51:605), p.166-177. Simons, V. "The low-down on San Jose", Tramways & Urban Transit, Sept. 2016 (79:945), p.340-343. Wolinsky, J. 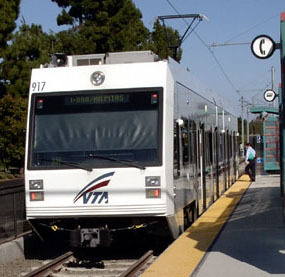 "San Jose report", Modern Tramway & Light Rail Transit, Mar. 1987 (50:591), p.84-86.